Stroke is the leading cause of long-term disability in adults and the third cause of mortality worldwide. In the very acute phase of stroke, thrombolytics and endovascular thrombectomy can reduce stroke disability; however, only a small minority of patients receive these treatments. Once the neurological deficits are established, there are few options for recovery. In recent years, extensive cell therapy preclinical research has demonstrated a neurorestorative effect after cerebral ischemia. In cerebral ischemia animal models, bone marrow-derived stem cells improve neurological outcomes even in the long term, increasing brain plasticity and enhancing recovery mainly due to secretion of growth factors and cytokines. In the bone marrow, different types of cells have been used for cell therapy in stroke. The first type of cells used for stroke and the most extensive studied in preclinical research are mesenchymal stem cells (MSCs). 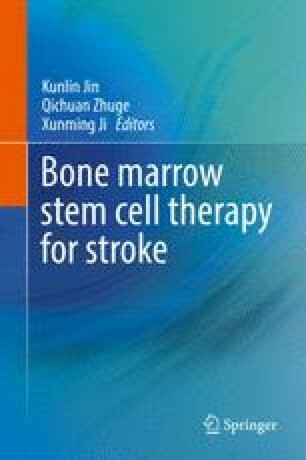 In recent years some other cells have been studied for stroke therapy with promising results, such as bone marrow mononuclear cells (BM-MNCs), hematopoietic stem cells (HSCs), and multipotent adult progenitor cells (MAPCs). Several phase I and II clinical trials have been published to date with these stem cells, which have already demonstrated the feasibility and safety of this therapy in the stroke setting. An increasing number of clinical trials, mainly with bone marrow MSCs and BM-MNCs, are ongoing to further assess the best dose, route, and timing of this therapy and to elucidate the efficacy cell therapy in stroke. No disclosure information. This study is funded by grants from Junta de Andalucía [TCRM 0001/2006], Fundación Mutua Madrileña, and Instituto de Salud Carlos III [PI15/01197]. Goyal M, Menon BK, van Zwam WH, et al, for the HERMES collaborators. Endovascular thrombectomy after large-vessel ischaemic stroke: a meta-analysis of individual patient data from five randomised trials. Lancet 2016; published online Feb 18. http://dx.doi.org/10.1016/S0140-6736(16)00163-X.